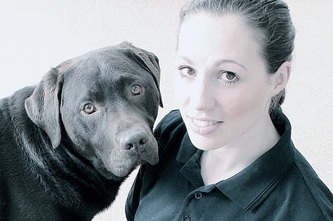 Jessica knew from a young age that being with animals was what motivated her most, feeling happiest when she was caring for her menagerie of pets or spending time at the stables. Jessica's passion has always been unravelling and understanding anatomy and physiology. This led her into her first degree in Neuroscience (BSc Hons), which she studied at the University of Nottingham. On completion of her degree, Jessica worked with a project that encouraged disabled and socially disadvantaged children to interact with horses. The project also rescued horses and this is where Jessica's enthusiasm for rehabilitation developed. During this time Jessica furthered her equine knowledge by studying at Warwickshire College. She then went onto complete her post graduate qualification in Veterinary Physiotherapy at Harper Adams University, whilst working on a number of livery and competition yards, including with New Zealand's Olympic Eventer Joe Meyer. Jessica feels extremely lucky to be able to pursue a career in something she is so passionate about. Currently, she is particularly interested in classical riding and training methods and has recently trained at the UK home of Philippe Karl’s School of Légèreté (lightness). 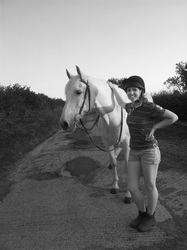 Jessica maintains that we should all strive towards an educated approach to riding for the sake of the horse.